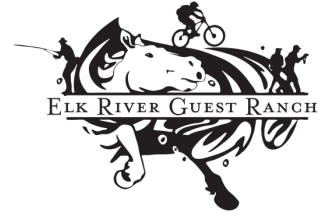 At the Elk River Guest Ranch, we offer private horseback rides for individuals or groups up to three people. Our most popular ride is our Overlook Trail, which ascends out our property gate directly into national forest lands. You'll ride up a mountainous trail with some steepness which leads you to a pine and aspen forest. A clearing with big views of the Zirkel Mountains and a mixture of forest and grasses make this a well-rounded ride. It's best for confident beginners, intermediate and advanced riders. ​Pricing for this 2-2.5 hour ride is $175/person for a single rider and $115/person for groups of 2-3 people. Our horses are gentle and are suited for confident beginner to experienced riders. Native mountain horses, they are sure-footed and allow for a western experience of scenic mountain views, meadows of wildflowers and wildlife. We ride through the Routt National Forest directly out the ranch gate to the north. Our horseback tours are led by experienced guides, where we specialize in a scenic ride with personalized attention. Riding helmets are available for children and adults at no charge and are ASTM-SEI approved. Children must be at least 8 years old to ride the Overlook Trail, and everyone rides their own horse (no double riders). Before your arrival, we will ask you fill out a horseback riding form, and we will have a release form for you to sign upon arrival. How much does it cost? Ride pricing is at the top of the page and requires a non-refundable 50% deposit to hold the reservation. If you can't make your scheduled time, you are welcome to call to rebook. How should I prepare? Send Bex your filled-out Horseback Riding Form or call (970) 879-1946 with the information. When should I arrive? You should check-in a few minutes prior to the posted ride time. When you get to the Ranch, head to the lodge to get checked-in and meet up with your guide. Parking is marked and is located just to the right after you pull in the ranch. What should I wear? We recommend you wear long pants and closed toe shoes, cowboy "slip-on" boots are the best. Be sure to layer your clothing as the weather can change rapidly here in the mountains. We also have a boot room where you can choose from a pair of our boots to borrow for your ride. What should I bring? DON'T bring backpacks or purses - you can leave them in your car - any belongings you need during your ride can be put in the saddle bags. DO bring cameras, sunscreen and sunglasses! How old do children have to be to ride? Children must be at least 8 years old to ride on the Overlook Trail. Should we tip our trail guides? We say, "If you liked your ride, kiss your horse and tip your guide!" Many people do not realize that it is customary to tip your trail ride wrangler. If you had a great time on your ride, show your appreciation through a tip. The standard is 15-20% - similar to what you would tip a waiter or waitress.